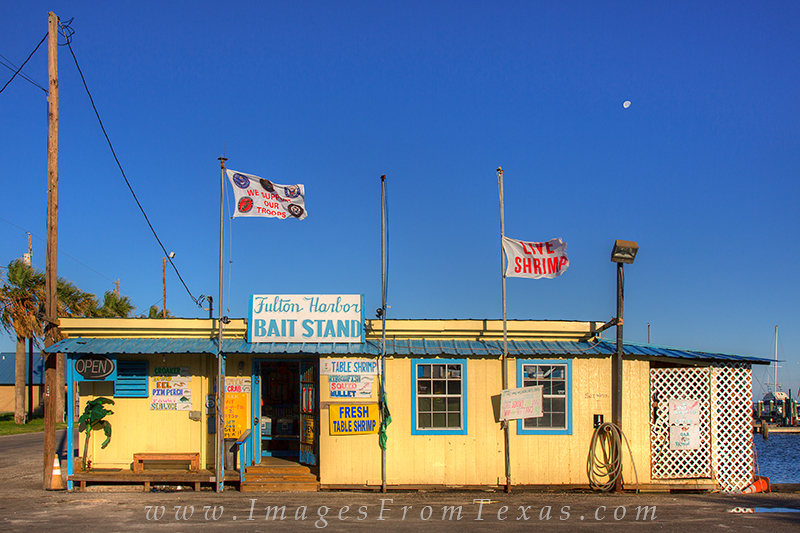 You can get your live shrimp or table shrimp from the Fulton Harbor Bait Stand. Next to the harbor in Rockort, Texas, this is the last stop before the open ocean! Photo © copyright by Rob Greebon.